Awkward silence. Really? Everything went so smoothly that you can’t come up with one good disaster story? And the time that S imagined he got stung by fire ants. And a couple days later when he imagined he got stung by a jellyfish. 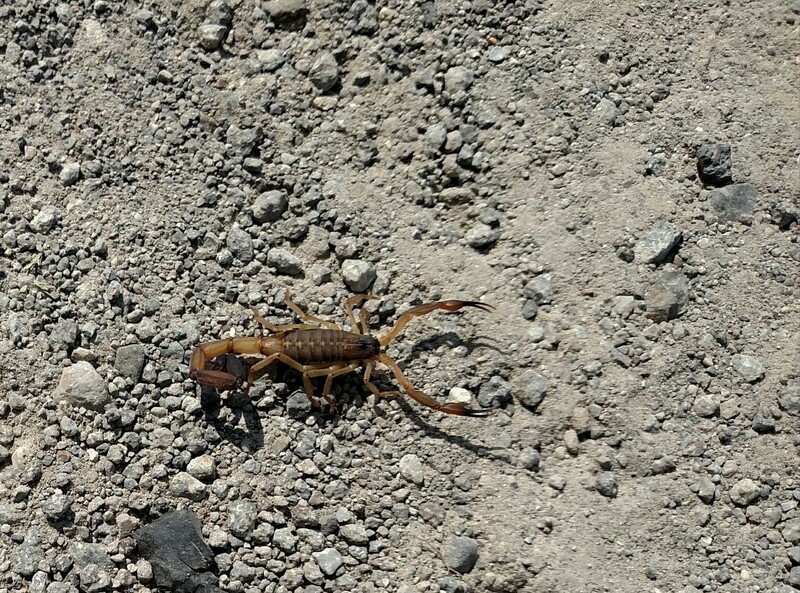 And the time that I really did get stung by a scorpion. Okay, so we had a few almost disasters, and a few imagined disasters, and one very painful incident with no longer-term consequences. I’ll take that over a really good disaster any day.